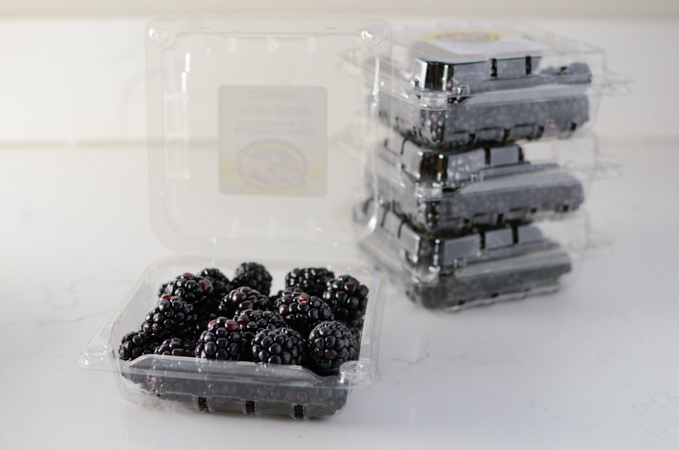 How can you pass by the packets of blackberries when they sell two for just 99 cents? I regret that I only purchased 4 of them. 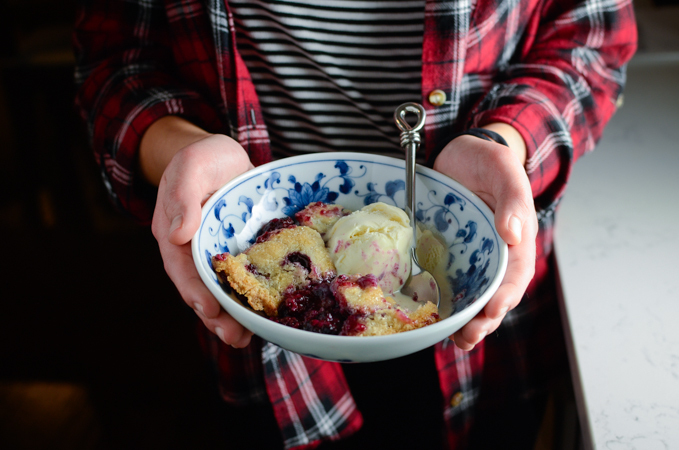 I made a batch of very easy blackberry cobbler with them just to celebrate a bargain. 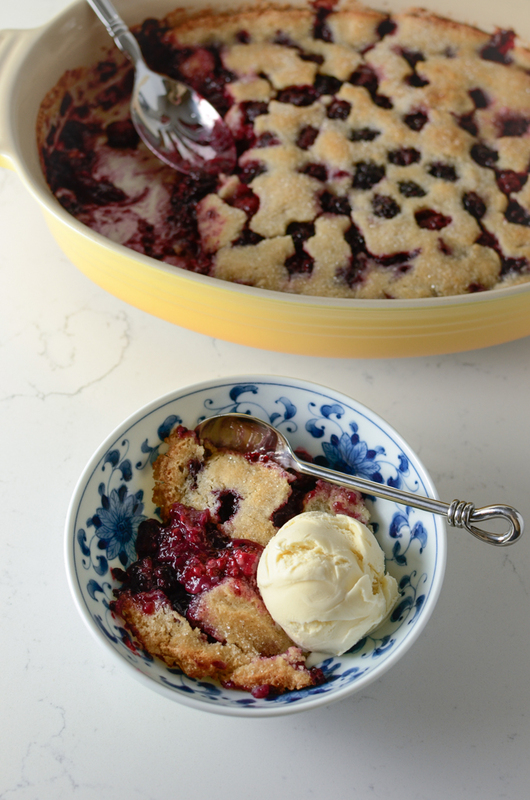 This easy blackberry cobbler is very EASY, as title says. You don’t need to cut in cold butter into tiny pieces to blend-in with flour. All you need to do is just to pour over one ingredient after another. This blackberry cobbler will be easiest cobbler you can make and, perhaps, the tastiest one, too. 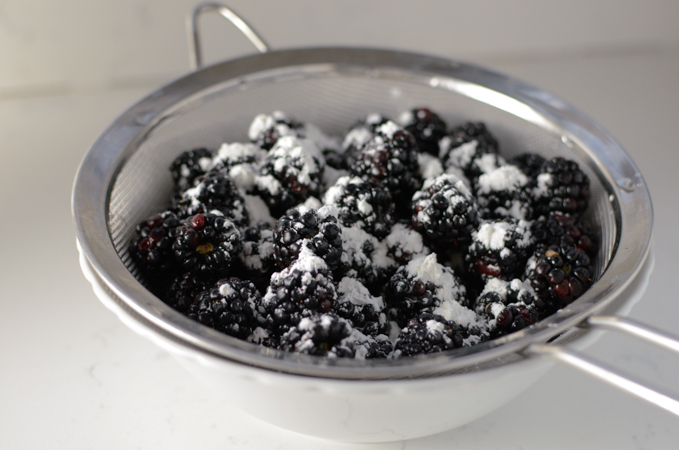 Rinse your blackberries with water and sprinkle a little bit of corn starch to coat. This will help thicken the fruit juice during the baking. I left my baking pan with chunks of butter in the oven as I was preheating. Your butter will melt beautifully in the oven. Mix all the batter ingredients. And pour the batter evenly over the melted butter. DO NOT STIR at this stage. 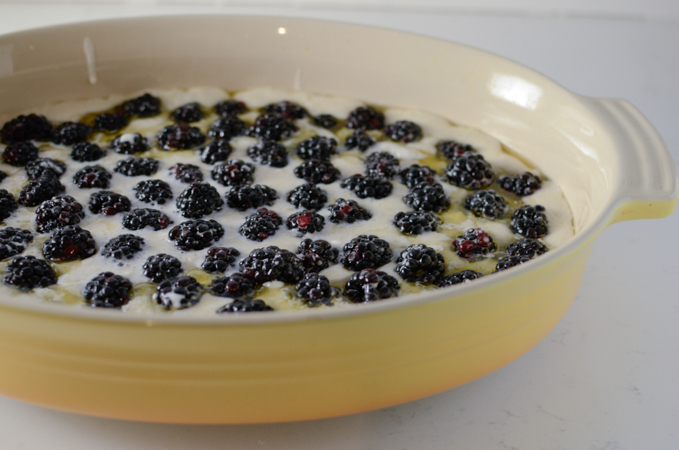 Add the blackberries and bake for 35 minutes at preheated 350˚F oven. Take the baking pan our of the oven and sprinkle sugar on top. Continue to bake 10 more minutes. This will make crusty crust. Is there anything better than a bowl of warm cobber with cold vanilla ice cream? Nah~! It is my kind of sweet finale that I would take any day of the week. 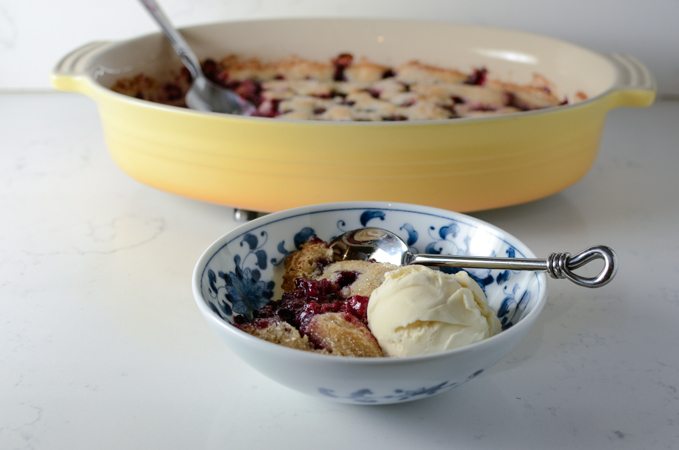 Blackberries are great to make cobbler with. 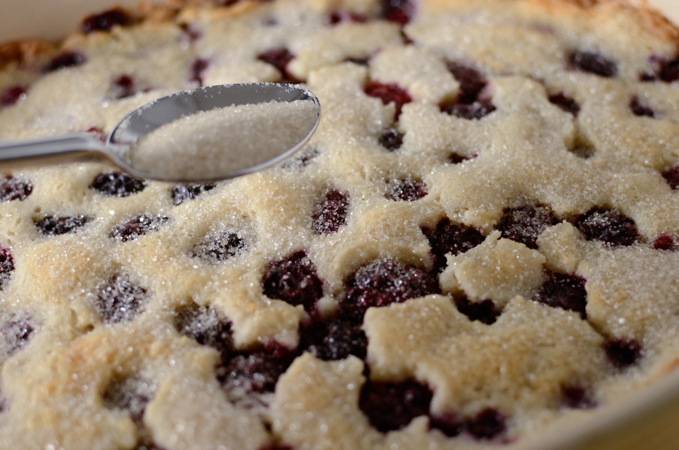 With this easy blackberry cobbler recipe, you get to enjoy the fruit of your labor with hardly any effort. That’s a very good thing if you ask me. 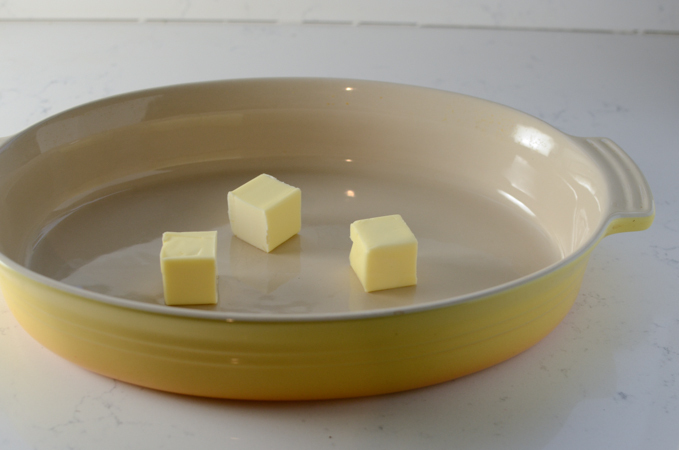 Put butter in a 2.5 qt baking dish and put the dish inside the oven. Preheat the oven to 350?F. Check the butter in 5 minutes to see if it is melted. Rinse the blackberries under cold water. Sprinkle corn starch to gently coat the berries. Set aside. 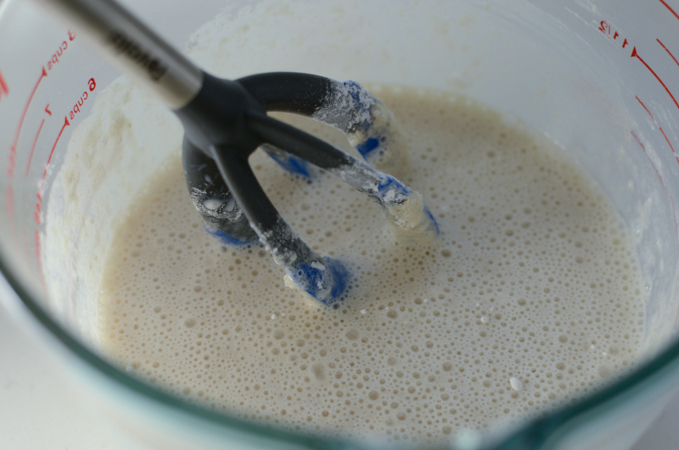 In a medium mixing bow, combine flour, 3/4 cup sugar, baking powder, salt, milk, and vanilla. Whisk well to mix. 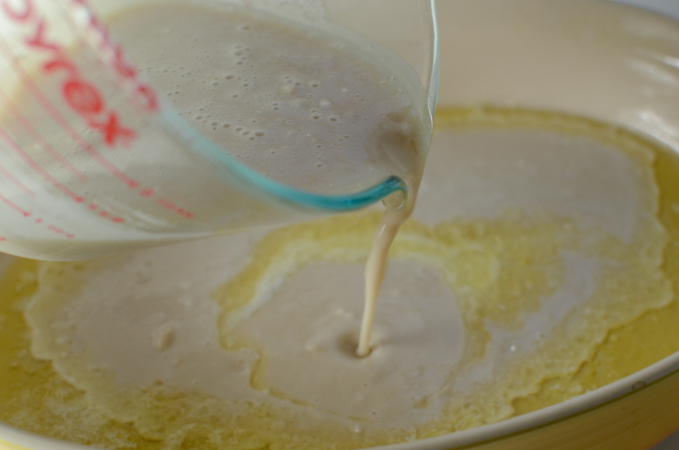 When the butter is melted, pour the batter mixture evenly over the melted butter. Do not stir the batter. Throw in the berries and bake it in the oven for 35 minutes. Sprinkle with the rest of 2 tablespoons of sugar and continue to bake for another 10 minutes or until the crust gets lightly golden. That looks delicious! And I like your baking dish, very pretty. Ohh man. This looks phenomenal! I actually tried making this !!! 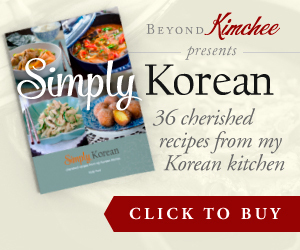 Hard to fail, but is absolutely good! 감사합니다! !